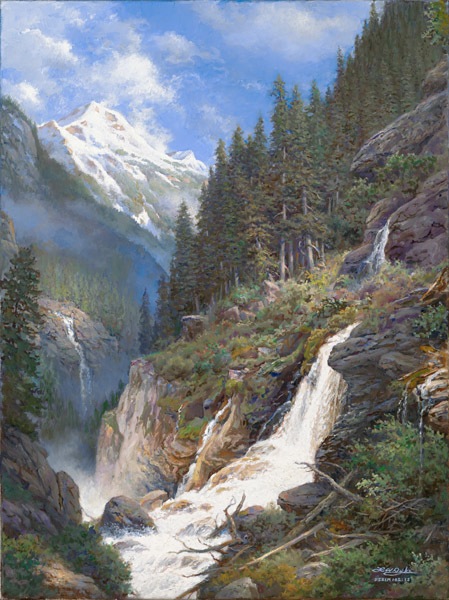 Dyke is a master at painting the natural landscape and the breathtaking scenes that make America so beautiful. This magnificent image features a canyon slicing through rocky, rugged terrain. Although shrouded under a cloudy sky, the remote landscape reveals the beauty of waterfalls cascading down the mountains, feeding the canyon waters. This remote dominion in God's kingdom will endure through the ages.